Extra >> Theme Options menu. 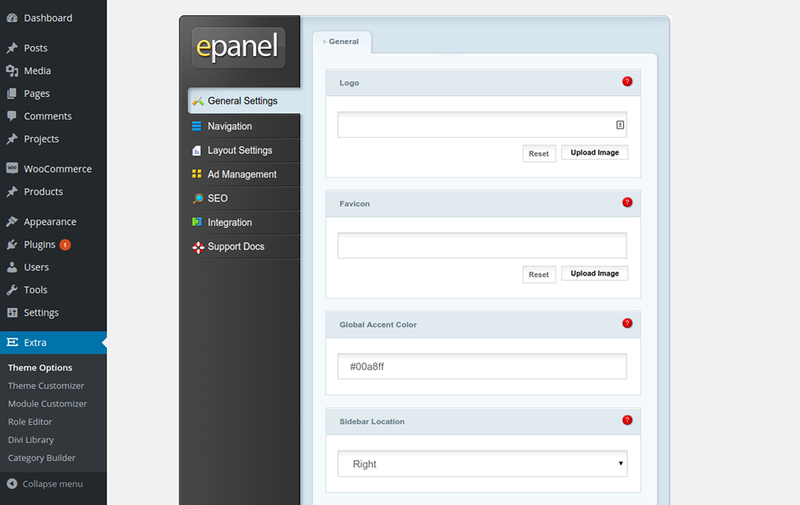 This allows you to control your site’s Global Accent Color which is used on all pages. Here you can choose the default location of the Sidebar. 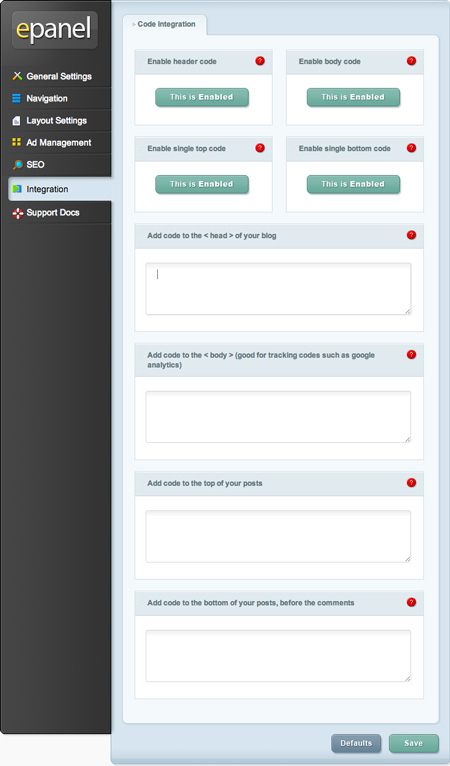 You will still be able to control the sidebar location at the individual page/post level. Here you can choose the default location of the Sidebar for WooCommerce pages. Here you can choose the custom Sidebar (defined in Appearance >> Widgets) that will appear on your site’s category, archive, and index pages. Here you can choose the custom Sidebar (defined in Appearance >> Widgets) that will appear on your site’s WooCommerce pages. Here you can configure how frequently your social follow counts are retrieved from the social networks. You can control which of Extra’s supported social networks’ icons are enabled using these controls. There is a control for each of the supported networks. 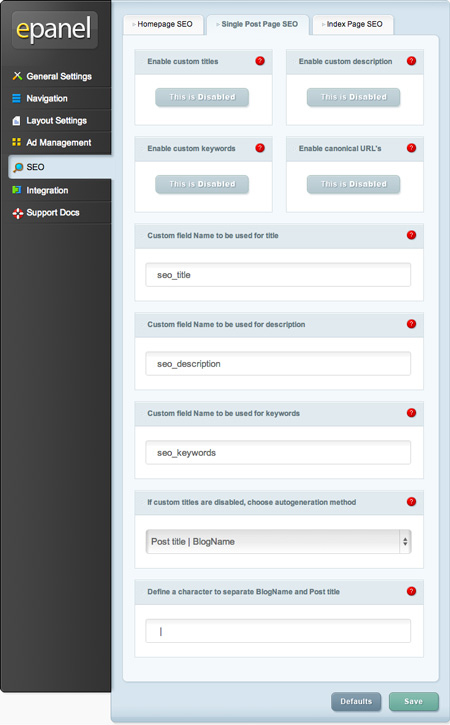 In order for an icon to be shown on the frontend it must have a profile URL configured using these controls. Again, there is a control for each of the supported networks. Define how many posts you would like to be displayed when a user visits a Category Page, an Archive Page, a Search Results Page, or Tag Page. This will enable a small button fixed to the bottom-right side of the screen that will scroll the page to the top when clicked. This will enable smooth scrolling which is especially useful when using anchor links to link to specific areas of the page. If you would like to remove the dropdown menus from the pages navigation bar disable this feature. 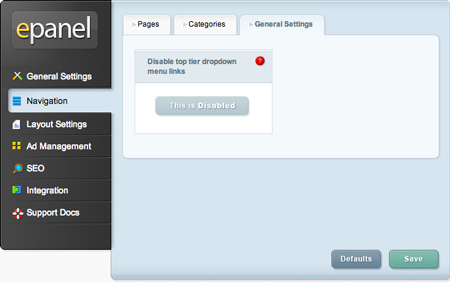 This options allows you to control how many tiers your pages dropdown menu has. Increasing the number allows for additional menu items to be shown. 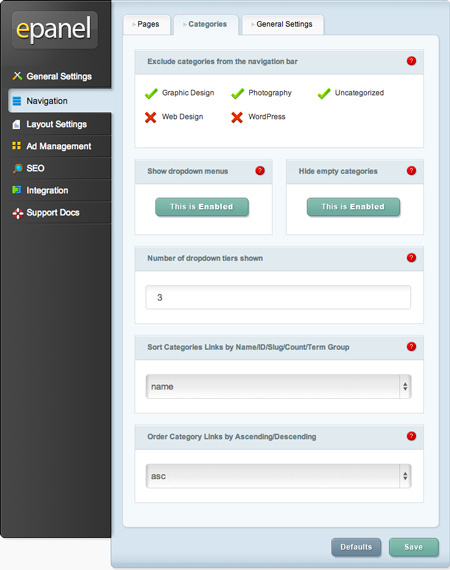 Further, specify in which order your sorted category links should appear. Here you can choose which items appear in the post meta info section on single post pages. This is the area, usually below the post title, which displays basic information about your post. The highlighted items shown below will appear. You can choose which social networks’ icons are shown on your posts (for social sharing). Here you can choose which items appear in the post meta info section on pages. This is the area, usually below the post title, which displays basic information about your post. The highlighted items shown below will appear. Choose whether your archive/index pages list posts in the standard layout or the masonry layout. Here you can provide the URL that the image should link to. Place your Adsense code here (if applicable). 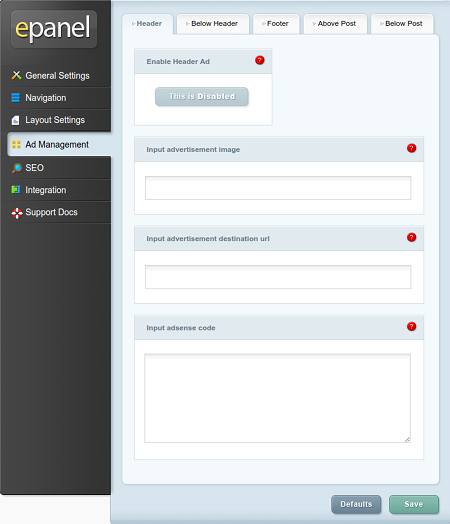 The SEO options are only applied when you are not using a supported SEO plugin. 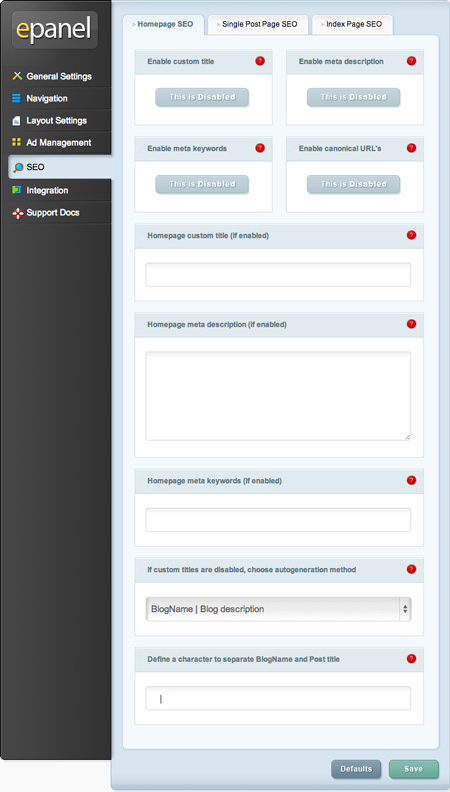 Currently, Elegant Themes support Yoast SEO and All-In-One SEO. Check this box if you want to display meta descriptions on category/archive pages. 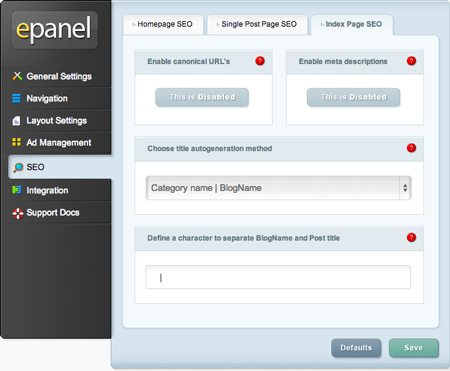 The description is based off the category description you choose when creating/edit your category in wp-admin.